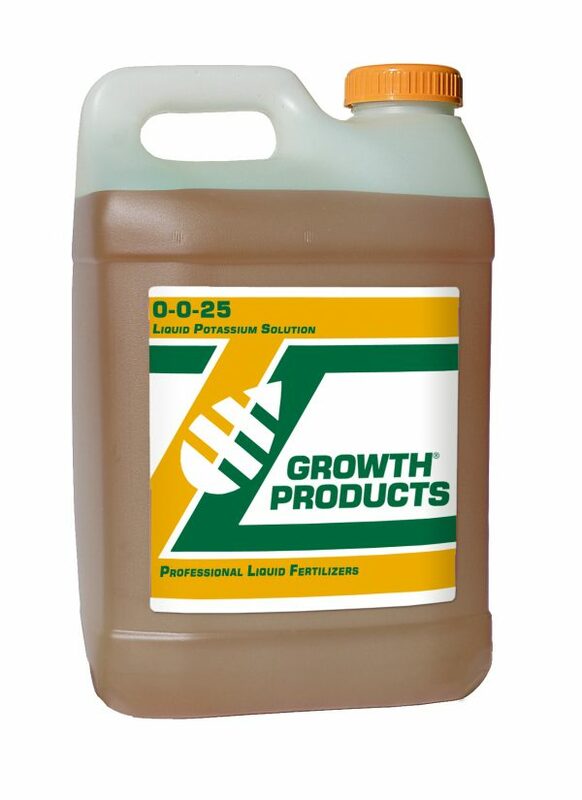 Growth Products’ 0-0-25 Liquid Potassium Solution is a crystal clear concentrate solution containing a very safe and reliable source of potassium from potassium carbonate. It has an extremely low phytotoxicity level, does not contain chlorides, and has the lowest salt index of any potassium source. 0-0-25 will adjust both water and soil pH levels. 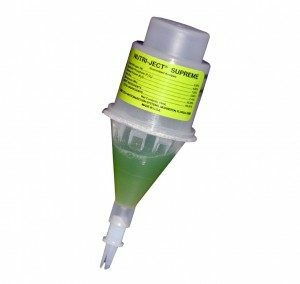 Since its clear solution does not settle out, 0-0-25 can be directly siphoned from the original container with a high ratio proportioner.0-0-25 is alkaline (pH =11), and will raise the pH levels of your stock tank and growing media. A large majority of nutritional problems happen in greenhouse crops when the pH of the growing media is outside the optimum range for a particular species. For instance, low pH levels will cause excessive availability of iron and manganese, which in turn leads to toxicity for plants. Conversely, high pH levels translate into deficiencies of P, Fe, Mn, B, Cu, and Zn. In either case, plants are adversely affected with visible problems like stunted growth and poor appearance. Group one is the “petunia group.” These plants are iron-efficient and prone to iron-deficiency at high pH levels. Species in this group include pansy, petunia, snapdragon, and vinca. They grow best at lower pH levels (5.4-6.2). Plants that make up group two (the “general group”) include chrysanthemums, impatiens, and poinsettia. These plants grow best within a moderate pH range of 5.8 and 6.4. Group three (“geranium group”) plants are iron-efficient, and prone to iron/manganese toxicity at low pH levels. This group includes marigolds, seed and zonal geranium, and New Guinea impatiens. Such plants grow best at a higher pH range (6.0-6.6), which limits the solubility of micros. One way to address the drop in pH that occurs with the geranium group is the use of 0-0-25. This liquid potassium solution is excellent for raising pH levels rapidly. 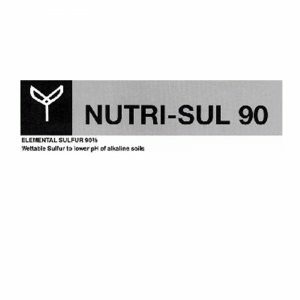 0-0-25 has an extremely low level of phytotoxicity, no salts, and no chlorides. Repeat applications may be necessary to maintain optimum pH once it is reached.